Reports: 4 Arrests Linked To Philip Seymour Hoffman's Death : The Two-Way Police in Manhattan are telling New York news outlets that three men and one woman are in custody. It's thought they may have been involved in the distribution of heroin reportedly found in the apartment where the actor died over the weekend. 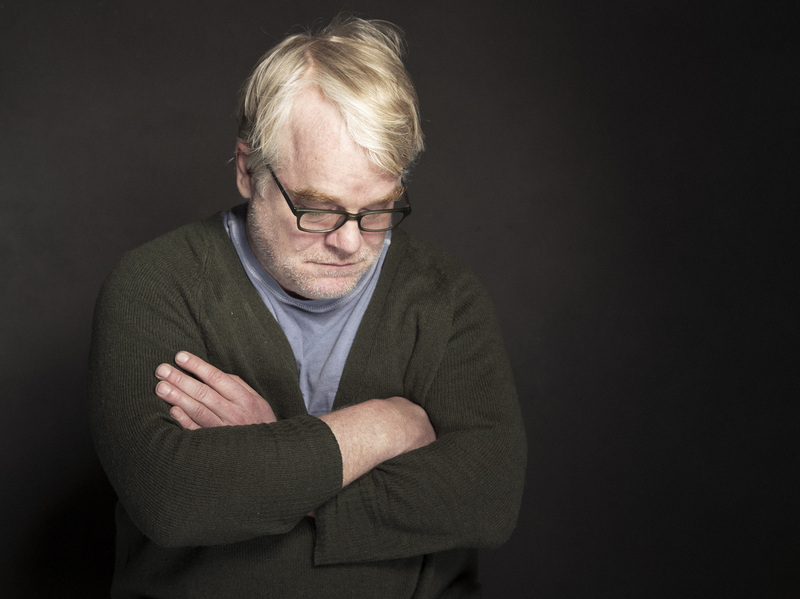 Philip Seymour Hoffman in January. Three men and one woman were arrested Tuesday evening in connection with the death over the weekend of actor Philip Seymour Hoffman, The New York Times and other New York news outlets are reporting. Hoffman, 46, was found dead in a Manhattan apartment. It appears he died from a heroin overdose. Law enforcement sources are telling the Times and other outlets that the investigation into where Hoffman allegedly got the heroin led them to the individuals who have been arrested, as New York's Daily News reports. But "police were not certain if those arrested actually sold the lethal heroin to Hoffman or if they are part of a larger drug distribution ring," the Daily News adds.